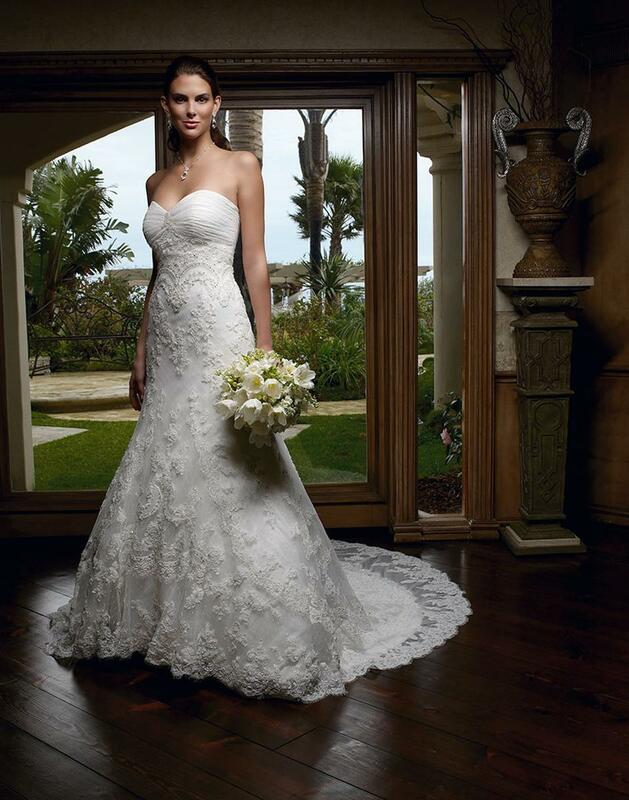 Dazzling and romantic, this strapless gown has a trumpet silhouette and a semi-cathedral length train. This gown features a beautifully beaded Alencon lace appliqués hand sewn onto point d’esprit and a ruched sweetheart bust line. This gown will surely flatter her figure!